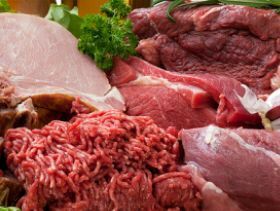 GLOBAL – The outlook for the global meat market is largely positive, according to a joint Agricultural Outlook report from the OECD and FAO. Meat prices reached record levels in 2014, driven mainly by an increasing beef price. At the same time, the Porcine Epidemic Diarrhoea virus (PEDv) in the United States and African swine fever in Europe, lowered pig meat supply in 2014 pushing pig meat prices upwards. Sheep meat prices also increased in 2014 following several years of flock reduction in New Zealand, induced by the conversion of sheep farms to more profitable dairy operations and accentuated by drought conditions whilst substitutability among the various meats ensured firm demand and strong poultry prices. Production is projected to expand, as a result of increased profitability, particularly in the pig meat and poultry sectors, as well as in regions such as the Americas where feed grains are used intensively to produce meat. By 2024, prices for beef and pig meat are projected to increase to around USD 4 900/t carcass weight equivalent (c.w.e.) and USD 1 900/t c.w.e. respectively, while world sheep meat and poultry prices are expected to rise to around USD 4 350/t c.w.e. and USD 1 550/t c.w.e. respectively. 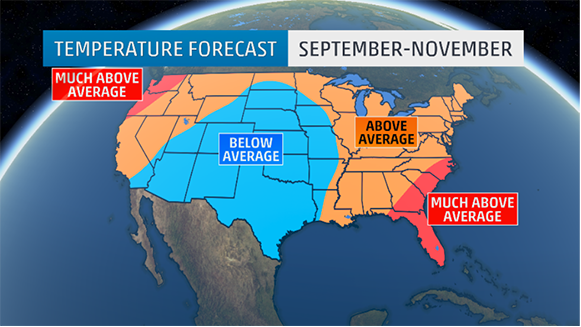 The Weather Channel Professional Division released their temperature forecast for the next three months from September through November. Overall, the East can expect temperatures to be warmer than average, while much of the Plains and parts of the Southwest will see a greater chance of cooler than average temperatures. 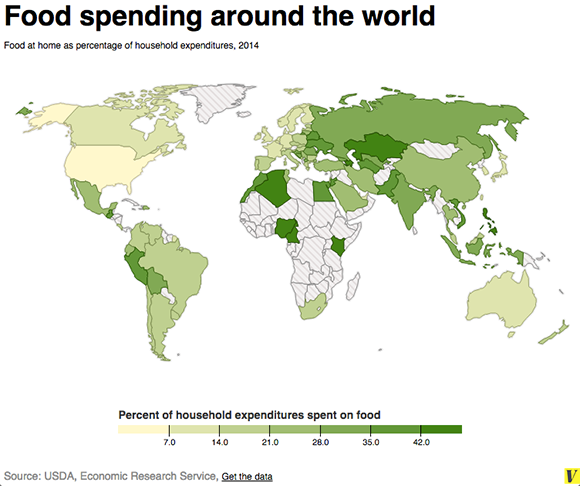 I think it’s interesting to see how much other nations are spending on food. If you look at the graphics I’ve included below from the USDA, you can see the United States spends a smaller percentage than any other nation. To clarify, these are percentages. 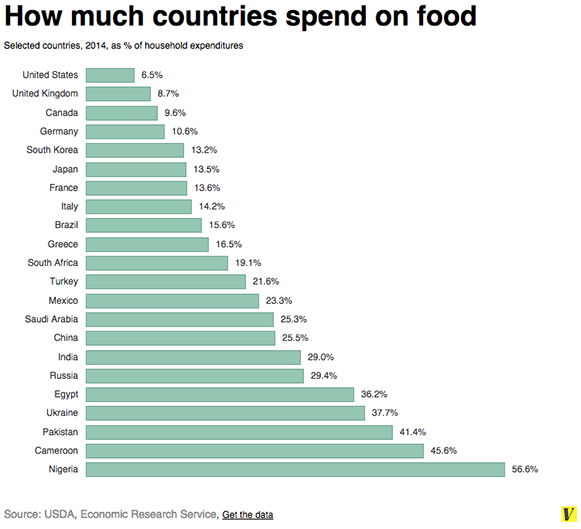 In an absolute sense, the United States spends more per household on food consumed at home ($2,390 per year) than, say, Nigeria ($1,343) or Russia ($1,935). But because Americans are richer, food still makes up a much smaller portion of their budgets. So as countries get richer, we find that they start spending more of their money on other things — like health care, or entertainment, or alcohol. South Koreans spent one-third of their budget on food in 1975; today that’s down to just 13 percent. Could water be the Midwest’s ticket to economic rebirth? 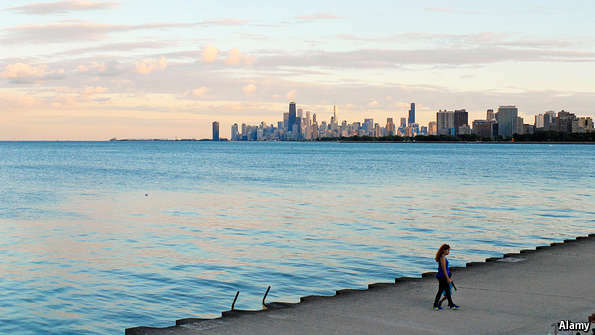 CYCLING to and from work along the shores of Lake Michigan in the summer months, marvelling at the brilliant turquoise water in the morning and shades of pink, purple and deep blue in the evening, ever-varying with wind and weather, is a treat for Chicagoans. The lake makes a majestic backdrop for the city’s splendid architecture, and its beaches are a meeting place for people of all classes and colors in this still segregated place. The Midwest’s industrial boom was carried along by water. It was an important input for the car industry in Detroit, for breweries in Milwaukee, steelmakers in Gary, paper manufacturers in Muskegon and makers of furniture in Grand Rapids. Industries and communities flocked to river- and lakefronts (Chicago had both). Water lubricated the new activity—and helped transport raw materials and finished wares. The new industrialists could use water at scale—and they abused it, pouring toxic waste into the sea-like lakes. For a long time Midwesterners ignored the damage done. It took fires on the Buffalo, Rouge, Detroit and Chicago rivers, fuelled by thick, oily sludge in the lakes and their arteries, for that to change. In 2010 the Great Lakes Restoration Initiative was born to improve water quality, clean up shorelines and restore habitats and species. Five years later, on July 28th, the Environmental Protection Agency (EPA) submitted a progress report on the initiative to Congress. It says that five areas of concern have been cleaned up, 148,000 acres of wetlands, islands and coastal habitat restored, phosphorus run-off from farms reduced and invasive species rebuffed. More needs to be done to clean up the lakes and rivers, but attention is now shifting from conservation to the economic uses of abundant water. The Midwest has more than 20% of the world’s (and 80% of America’s) freshwater supply. It is trying to position itself as a centre for research and development for water-related technologies. Milwaukee’s Water Council, which promotes investment, research and jobs in water technology, wants the region to be a wetter version of Silicon Valley. Its Global Water Centre is an incubator for water-based companies. The School of Freshwater Sciences at the University of Wisconsin’s Milwaukee branch is one of only three such freshwater schools in the world (the other two are in the Netherlands and in Singapore). Milwaukee calls itself the “World Water Hub”. Delegations of visitors from around the world seem to believe it.